Bunkyo is one of 23 special wards of Tokyo and is large enough. It also includes the areas of Yanaka, Sendagi and Nezu that I described in another page. This area, home of some universities like the prestigious University of Tokyo, with the exception of the Tokyo Dome (see below), isn't popular among turists. Who made a "standard travel" to Tokyo probably doesn't know anything of what I will speak about. However, a bit for completeness, a bit because I'm a "maniac" of the most infamous places, I want to write about the most interesting places I found in this neighborhood. The less infamous places among infamous places (with "infamous" I simply mean "without fame") of Bunkyo are some gardens: the Rikugien in the north (9:00 am - 5:00 pm, 300 yen), and the Koishikawa Korakuen just next to the Tokyo Dome. Both the gardens are japanese style gardens. 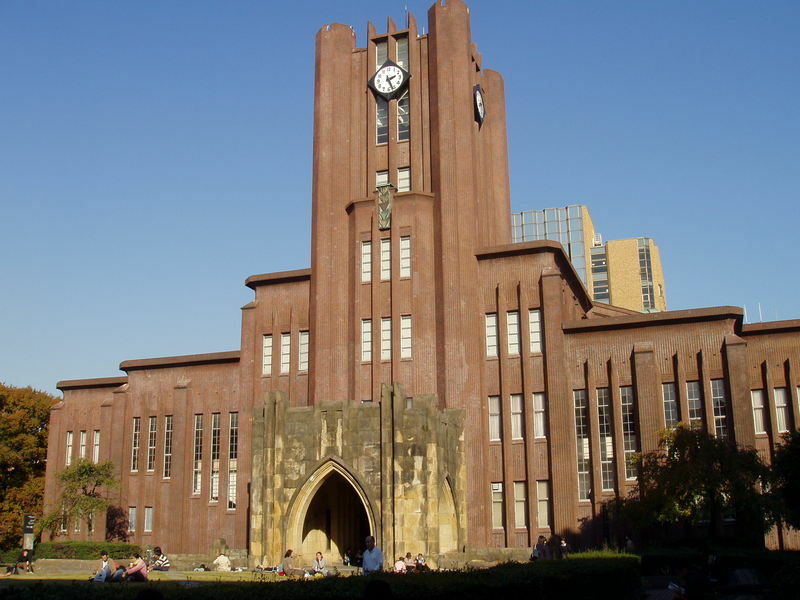 The Catholic Cathedral in Tokyo is located in Bunkyo, "St. Mary's Cathedral", a modern design building projected by Kenzo Tange. For people like me who are fans of views from above, near to the Tokyo Dome (250 m far) you can find the Bunkyo civic center (opening hours 9-20.30), a building 146 meters high where you can enjoy a panoramic view for free from the 25th floor. The view is nice and Shinjuku and Ikebukuro's skyscrapers can be seen. There is also a panoramic restaurant. This is a complex that revolves around the Tokyo Dome, a baseball stadium, home of the Yomiuri Giants team, which also hosts many other events. Here you can find the calendar. Inside the stadium there is also a baseball museum (10-18, 500 yen). An amusement park is located around the stadium, "Tokyo Dome City Attractions", you can find the list of attractions here. Most do not have much of sensational, except for the roller coaster "Thunder Dolphin", reaching a peak of 80m high and 120 km/h speed. 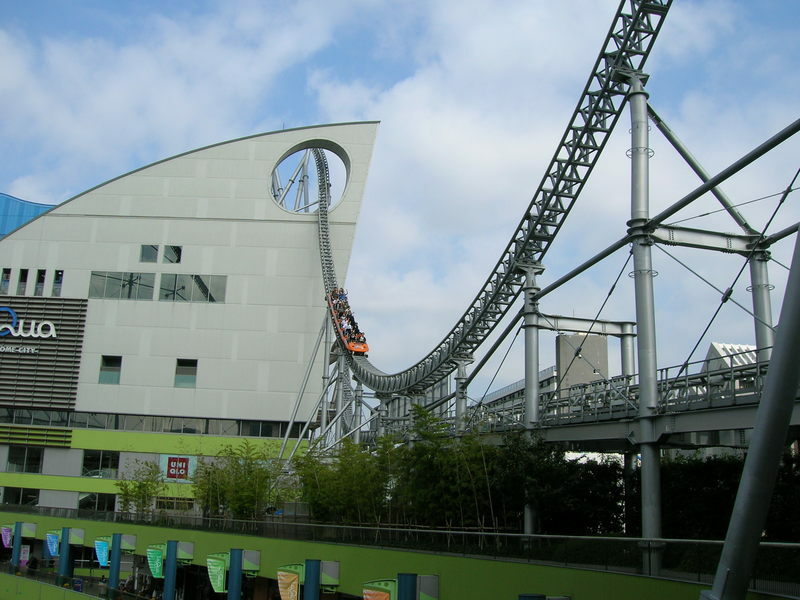 But other than that is very special, I had never seen/experienced a roller coaster that runs through the city passing even in the midst of a building. You can freely enter the park and pay individually the various attractions you want to do, or buy a day pass that costs 4000 yen, or 3000 yen after 5 pm. The park closes at 9 pm. Behind the rollercoaster there is LaQua, a shopping center / fitness center / spa. To the south of the Tokyo Dome there is the "Korakuen Hall", a wrestling arena, a bowling with a fifty tracks (500 yen a game), and the Dagekioh, a kind of advanced games room where you can play in various sports virtually (soccer, baseball, tennis, golf, others). Inside the G-Rosso theater, live performances of the series Super Sentai take place, very popular in Japan and the one from which the much more popular (in the West) series of Power Rangers is derived. The ticket costs 1500 YEN and can be bought just there, maybe also at Lawson konbinis, at this link (in Japanese but understandable) you can find show times for each day. The Tokyo Dome Hotel is part of Tokyo Dome City, it is a 43-story medium-high leveh hotel, I don't recommend it because the rooms are quite expensive, with the same money you can sleep in a hotel of the same level in Shinjuku. In the area of Hongo there are some small ryokans in traditional old buildings. I can advise you: Homeikan ryokan and ryokan Tsutaya. Korakuen station (Tokyo Metro Maranouchi and Namboku line) and Kasuga station (Toei Oedo e Mita line) are the reference stations to the area of Tokyo Dome, Korakuen gardens and Bunkyo Civic center. Alternatively also Suidobashi station is good (served by the useful JR Chuo-sobu line). For the ryokan I have recommended and Tokyo University in Hongo area you can reach Hongo-Sanchome station (Toei Oedo line and Tokyo Metro Marunouchi line) or Nezu station too (Tokyo Metro Chiyoda line). For Rikugien gardens, the best is Komagome station served by JR Yamanote line and Tokyo Metro Namboku line.